Your website and online presence is a direct reflection of your business. In honor of St. Patrick’s Day, we have outlined some tips to help your business stay lucky online! Consider this a guide to help you on your journey to the pot of gold for your website’s success. A logo is the foundation of your website and directly represents your business. Branding helps your business get recognized and stand out among the sea of competitors you may have online. Trends change. Staying up-to-date with your logo shows your visitors that you care about your business’s image. Click here to look at how Lucky Charms has altered their original concept throughout the years while keeping their brand recognizable. There are sneaky leprechauns all over the web. Having a secure website can prevent anyone from stealing your pot of gold (otherwise known as your website). An SSL certificate helps shield important information from hackers and also provides a safe experience for website visitors. An SSL is equivalent to a three-leaf clover in Google’s eyes—it should be the standard. Consistency is key when it comes to Google. Having great NAP (Name, Address, Phone Number) consistency throughout not only your website, but your overall online presence (Google, Yelp, etc. ), is one of the most important factors. The search engines recognize this consistency and reward businesses for this by ranking them higher in search results. In short, your business name, address, and phone number should be exactly the same on all directories and listings. When visitors land on your site, it’s not because they were lucky enough to find you. It’s because your site performs well in the search engines. Once a visitor lands on your site, the user experience helps keep them there! Visitors want to quickly find what they are looking for without too many clicks. One tip to enhance both usability and SEO would to be to create separate pages for your services. This gives each service an opportunity to rank on the search engines when that specific keyword is searched. For over a decade, with the evolution of technology, desktop traffic has been decreasing while mobile internet usage has increased. Back in 2017, it was predicted that by the end of 2019, mobile would hold 79% of traffic on the web. Google has even said that 61% of users who have issues accessing a site with a mobile device are more likely not to return. More recently, Google has rolled out some updates that may remove websites that are not mobile-responsive from all searches done on a mobile device. Now that isn’t so lucky! See, you can’t just rely on luck itself when it comes to having a good online presence. So, go ahead and take this pot of gold you found at the end of the rainbow and make your own luck. 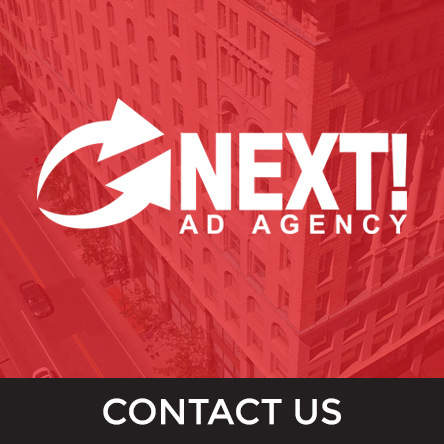 If you are looking for help, contact your team at Next! Ad Agency to get started!